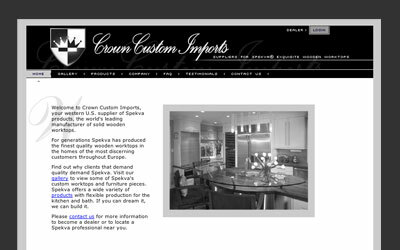 Crown Custom Imports is the premier supplier of Spekva custom wooden countertops. 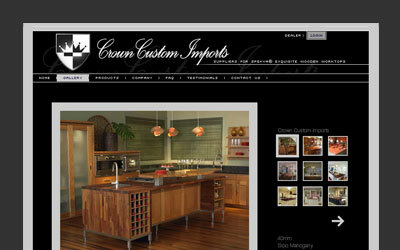 They needed a websie that positioned their brand as ultra-premium and professional. The site includes interactive images, a Flash-based gallery and product information. We also created a dealer-only login area where they can download products specifications, order forms and literature.